So it‘s been a while since I did a performance review on a lifestyle sneaker. It just too much basketball performers that are coming out one after another, so it’s a really tough task to find some time really. But enough excuses. 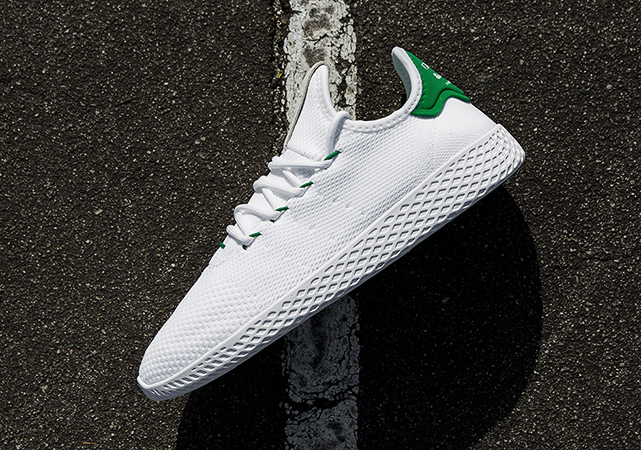 Today I’m coming back with the sneaker that takes a really important place not only in today’s sneaker world but also in the whole fashion industry – meet the adidas Pharrell Williams Tennis Hu. Last year adidas & Pharrell Williams did a first collaboration on the Pharrell x adidas NMD Human Race sneaker which instantly became one of the most popular sneaker in 2016. 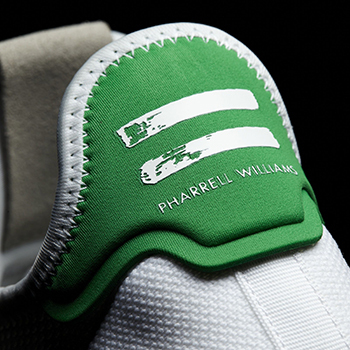 After this successful run, this year adidas x Pharrell collaboration was reised to another level by creating a completely signature silhouette. Let’s see what they will bring to the table! This particular colorway features more premium Primeknit upper with Noeprene & Leather hits on the heel and tongue areas. But for those who want to save a bit of money without giving up the main performance features, the Mesh option is the way to go. 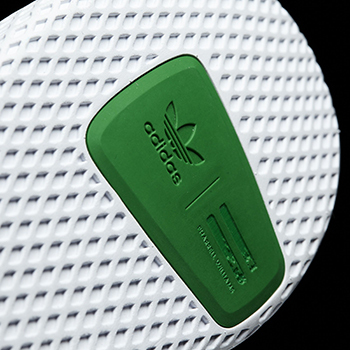 Now the Primeknit upper didn’t bring any surprises at all – perfect fit, pure comfort & lightweight feel. Top notch quality and experience every single time on every single pair. 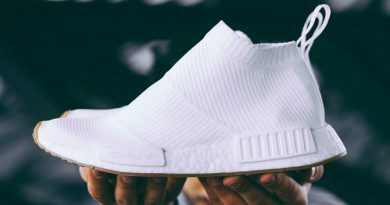 The Knit on the toe area is a bit looser, so that way you’re getting that sock like stretchiness, as well as, improved breathability. While the rest of the shoe starting from the midfoot features more dens knit to create some structure & add a little bit of foot containment. So you’re getting the best of both worlds. I’m not going to lie, it was a pretty tough mission for me to hop out of BOOST cushioning back again onto the old school EVA midsole. But after a few good walks in them, my foot accepted that and it felt decent. 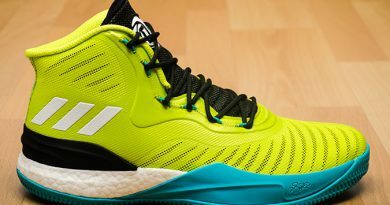 Of course, the EVA cushioning is way way behind BOOST or even BOUNCE tooling, but it still offers you slightly noticeable impact protection in the heel area, where the midsole is the thickest. So this isn’t the worst scenario that you can get, it really isn’t. Quite frankly, the Tennis Hu did perform way better than the Stan Smith’s, in my opinion. We got a unique pattern which goes throughout both the midsole & outsole by creating a really dope, signature look to it. It’s all about those details, man. Now looking from performance perspective, there isn’t much to talk about really since the adidas Tennis Hu is a lifestyle sneaker. What can I say, you will be good to go on any type of surface as long as you keep them from serious activities. The rubber compound on these isn’t the most durable but not the weakest as well, in one word – acceptable. Although, there’re two strategically placed green zones that features a thicker rubber for additional durability in most needed areas. So the main selling point other than unique style got to be that incredibly lightweight construction which does offer the most seamless fit I’ve ever experienced in my life. It just mind blowing… 6.5 ounces? That’s crazy light. 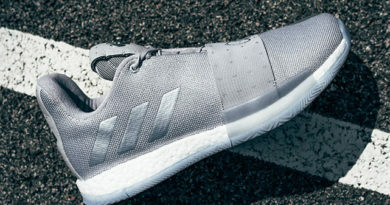 As I said before, the Primeknit upper perfectly wraps your foot by giving you the top notch comfort & stretchability to accommodate any type of foot. On top of that, great breathability throughout the whole construction makes this a perfect summer sneaker for everyone. This time adidas did everything right, so true to size is the way to go. Narrow footers, wide footers, it doesn’t matter. Again, this is a lifestyle sneaker. 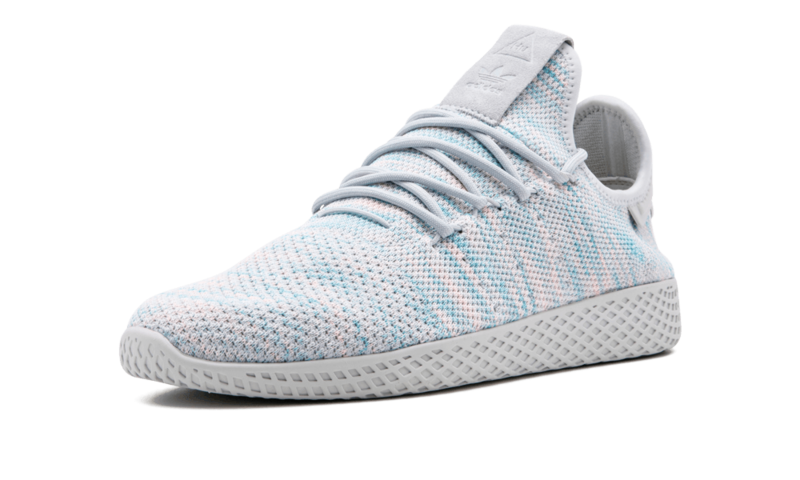 You just turn on your chill mode, throw the adidas Tennis Hu’s on your feet and that’s it, you’re in full comfort zone. And that’s what I’m always looking & expect from every single lifestyle shoe – just pure comfort. It just my personal opinion, but I think a lot of you will agree on this. So as you probably already guested, there aren’t any support features at all. ZERO. Just a bit tighter knit in the midfoot for additional foot containment and that’s pretty much it. However, if you prefer to feel some kind of containment around your foot, then you can go with the Mesh option which will be a bit more supportive. The adidas Pharrell Williams Tennis Hu is a piece of art. I‘m talking about signature logos, patches all over the shoe and even a graphic reflexology-inspired sockliner. It’s a masterpiece. It really is. Now as far as the performance goes, it’s the same drill. Awesome performance in pretty much all the areas. The only down side would be the outdated EVA midsole which, in my opinion, no longer belongs in today’s sneaker world. Maybe we will see a BOOST version of these? Who knows. It would be dope tho. 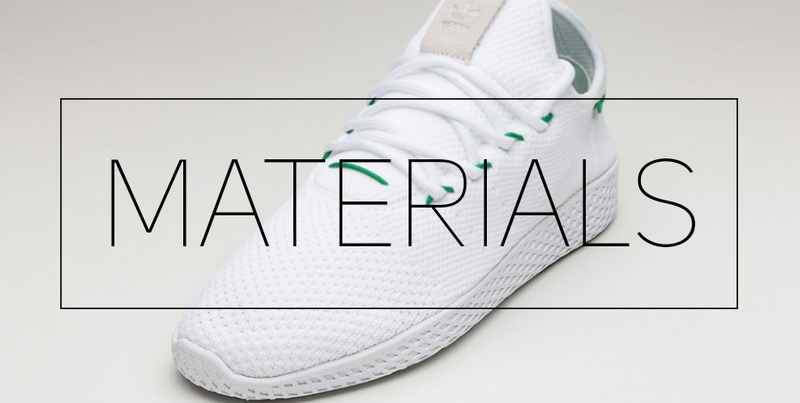 Other than that, the shoe does perform phenomenal – incredibly lightweight construction, pure comfort, sock like fit and more than great breathability to go with all of this. Grab them if you want to own more than a regular pair of sneakers. 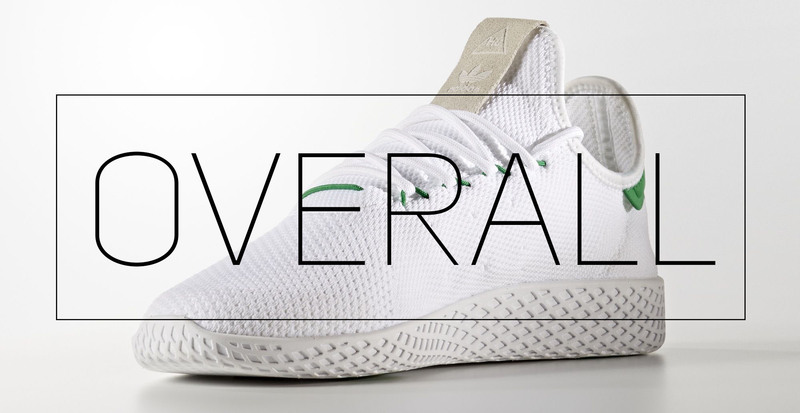 Hope you enjoyed my Performance Review on the adidas Pharrell Williams Tennis Hu . Will you be picking them up? Let me know! Considering some other brands that I’m not gonna mention, yes, adidas has been making pretty durable sneakers. The shoes look beautiful and the price is moderate.